Consumers no longer have to pay to use an important tool to help protect their identity. As of September 21, 2018, freezing your credit report at the three major credit reporting agencies is now free. Previously, a consumer had to pay a fee to freeze and unfreeze their credit report. 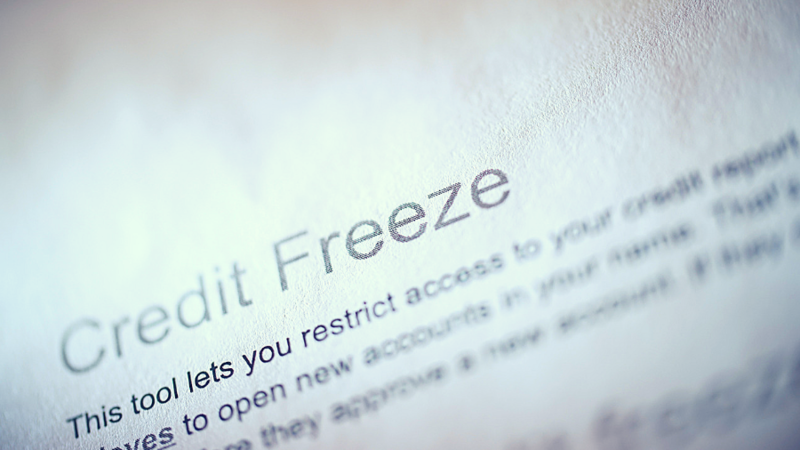 Freezing your credit reports makes it harder for criminals to open new credit accounts in your name. A freeze is just one tool to protect your identity but it doesn’t prevent other forms of identity theft. Placing a credit freeze requires setting up accounts at Equixfax, Experian, and TransUnion. They will issue you a PIN that you will use to lift the freeze. This article from U.S. PIRG provides instructions for placing the freezes. The federal law that mandated free credit freezes also extended the length of time for a fraud alert. Fraud alerts will now last one year. A fraud alert differs from a freeze in that a business must verify your identity before it issues you credit where a freeze prevents a business from reviewing your credit report. This article from the FTC provides more information on fraud alerts. The credit bureaus also offer a credit lock. A credit lock works similar to a freeze but doesn’t offer as much protection. With a lock, your information can still be sold to third parties. Locks aren’t required by law so the bureaus can change the terms at any time. This article from Marketplace provides pros and cons for credit freezes, credit locks, and ID theft protection packages. If you choose to freeze your credit reports, you may run into some unexpected difficulties. This article from Consumer Reports can help you deal with them. Excellent article, resource and information every consumer should take the time to read and understand. We should all pass this to our friends and family. I’ll dive deeper into the links, thank you. Hi Scott, glad you enjoyed the article. Thanks for leaving us a comment!